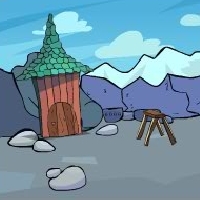 GenieFunGames - GFG Genie Lost Land Escape 8 is another point and click escape game developed by Genie Fun Games. At the end of the level 7 now lets begin the level 8. Its different background and different concept from the previous level enjoy the experience of lost land escape. Go ahead lets play and find a way to escape from this level and then ready to play next level soon. You can find useful stuffs and interesting clues symbols to solve and finally escape from the lost land. Good luck and have fun!